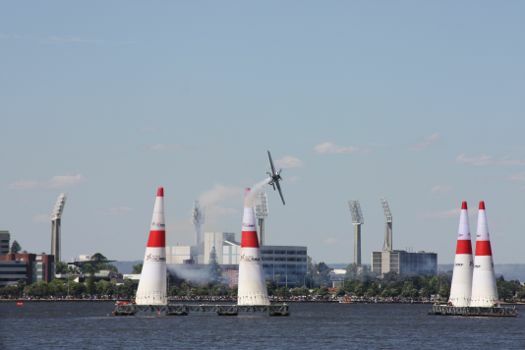 Yesterday, I went to see the finals of the Red Bull Air Race here in Perth. This was my first time watching the event, since I was over seas at the times it was held the previous two years. The weather was good, and gave me a good opportunity to play with my camera a bit. Sometimes you can miss out on the action by trying to take photos, but in this case the camera made it a lot easier to see the planes from the shore. As the overall winner was decided by points scored over the full series, it wasn’t necessary for the series winner to win the Perth race. This turned out to be the case, with Hans Arch coming third but winning the series. 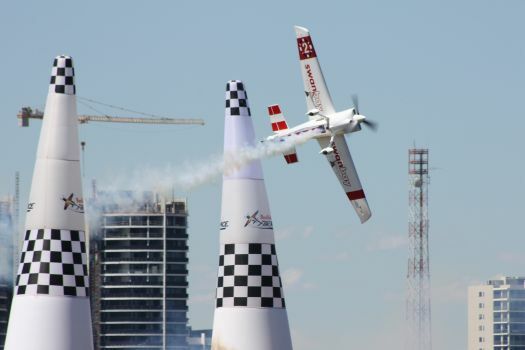 The Perth final ended up being between two English pilots: Nigel Lamb and Paul Bonhomme, with Bonhomme winning the race. 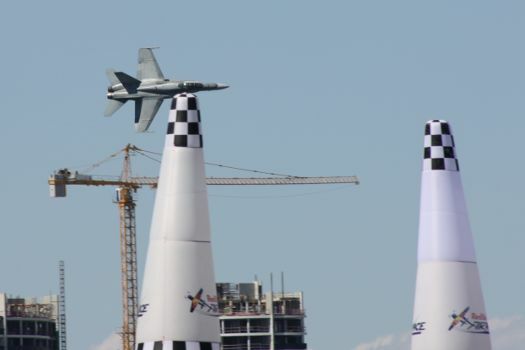 After the race, there was a display by the RAAF Roulettes formation flying team, and a fly over by an F/A-18 Hornet. Overall, it was a pretty good day. I don’t know if I’d have been up for watching the entire two days worth, but the finals were entertaining. Hopefully I’ll be around for next year’s race. I’m in Perth for business and last Sunday we saw the race. Great fun! Nice! I watched some of this on the internets from the comfort of my couch here in North America. Tail cams are awesome, but I’m sure that being there was even more fun.